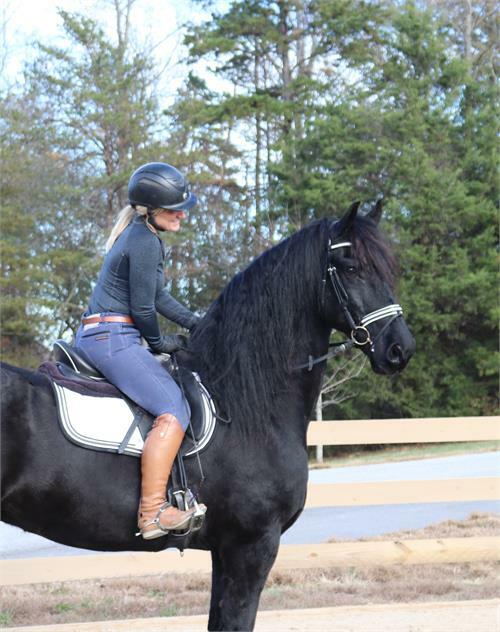 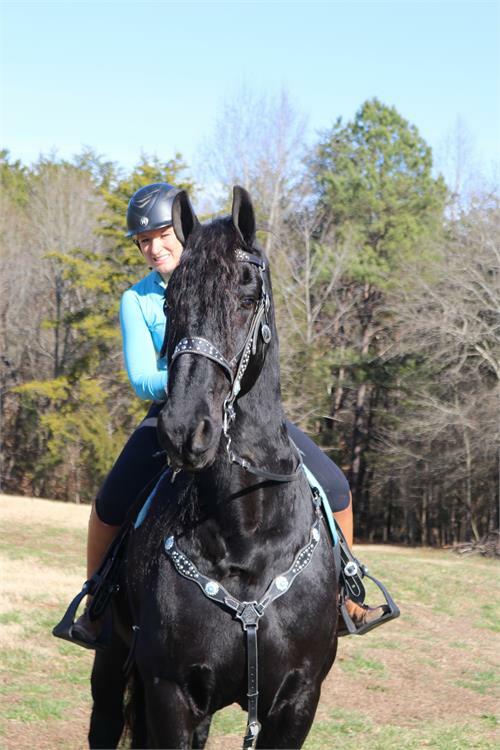 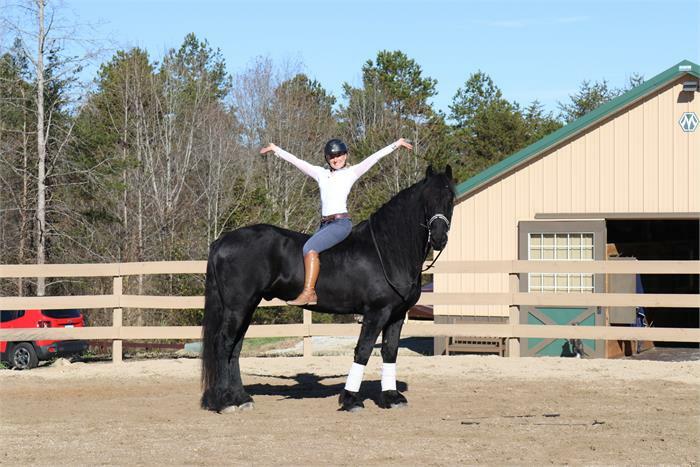 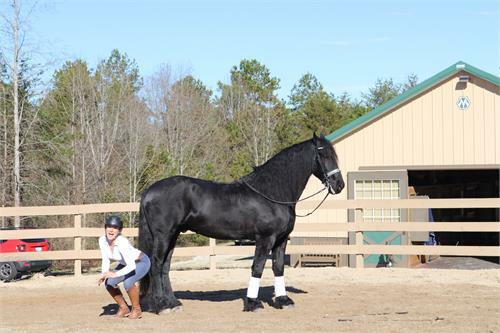 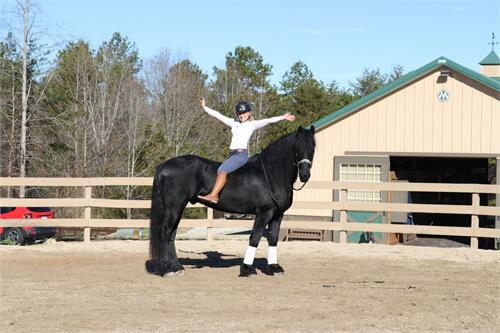 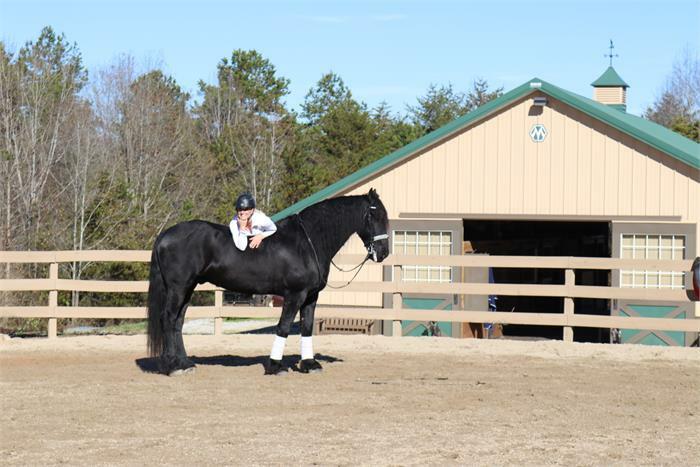 GORGEOUS, TALL, safe, experienced Friesian Gelding! 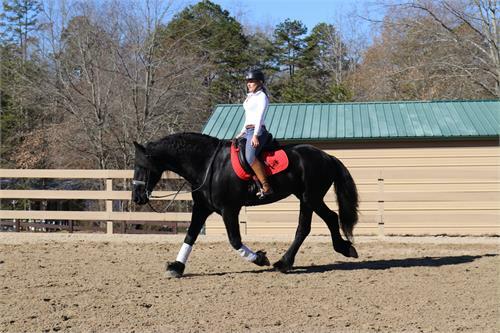 L2 dressage, trail experience, AMAZING canter! This boy will teach you! 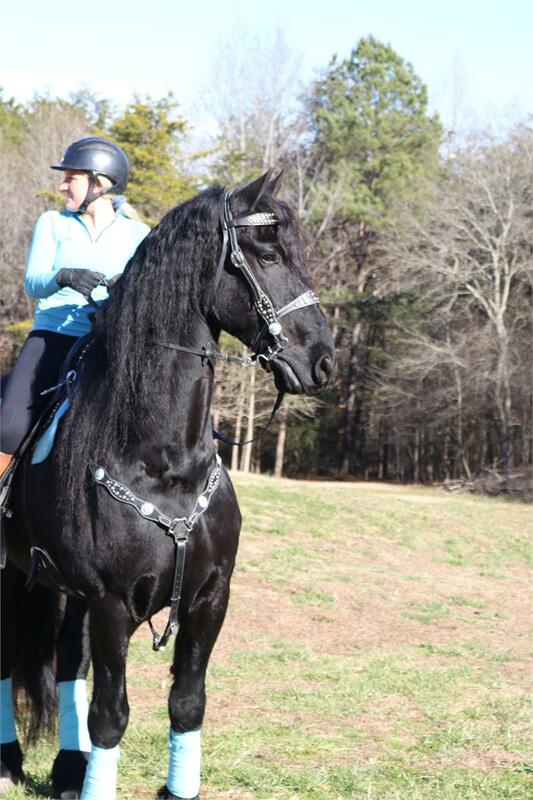 Meet Nanning… The kind, sweet, BRAVE, experienced black beauty. 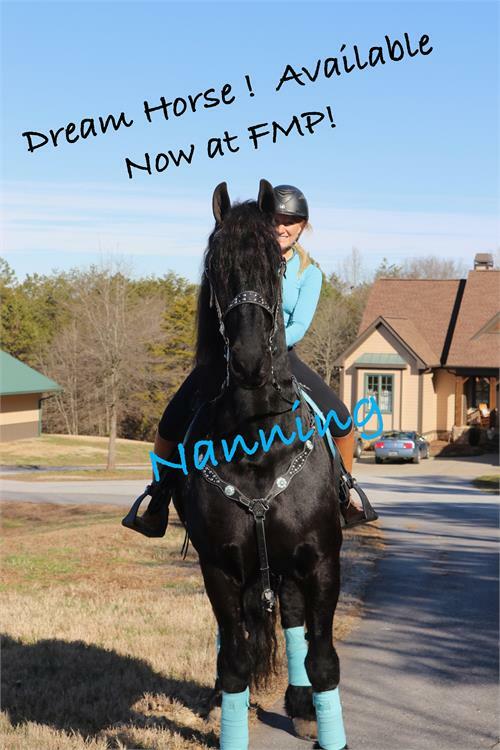 Nanning is the epitome of what a Friesian should be. 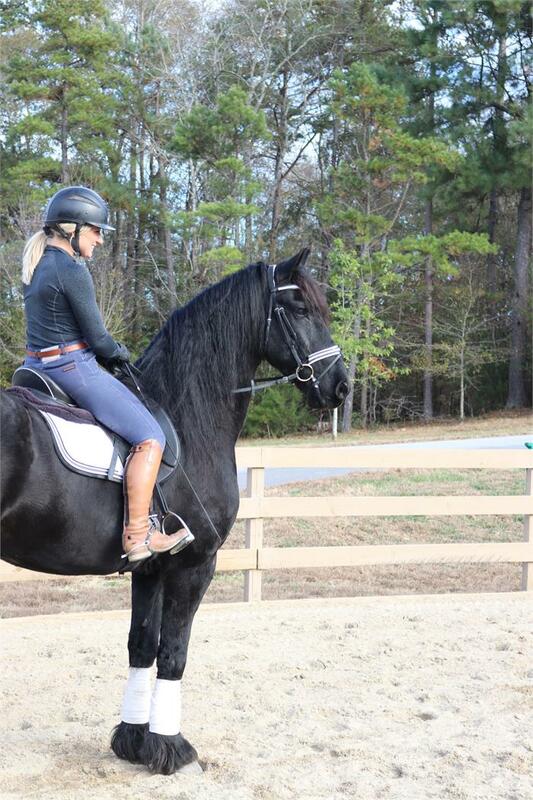 He is so gentle and has the sweetest personality. 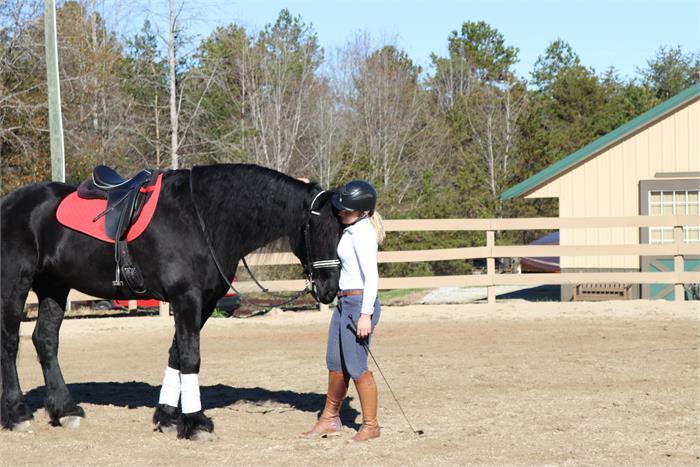 You can just see his sweetness in his calm, gentle eye. 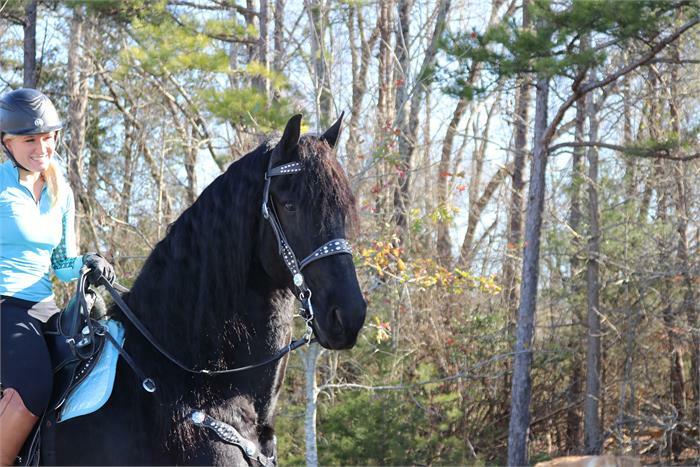 He will take care of YOU! 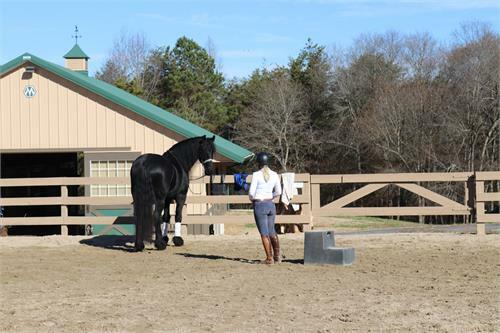 Nanning has completed first level dressage and beginning schooling second level. 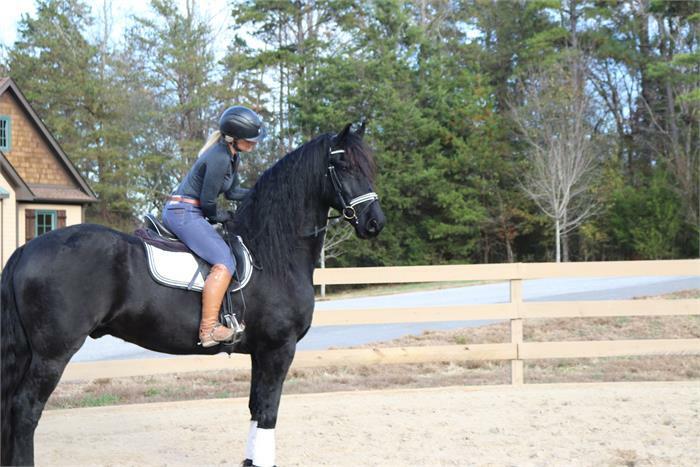 He is uncomplicated to ride and is the type that has been there done that. 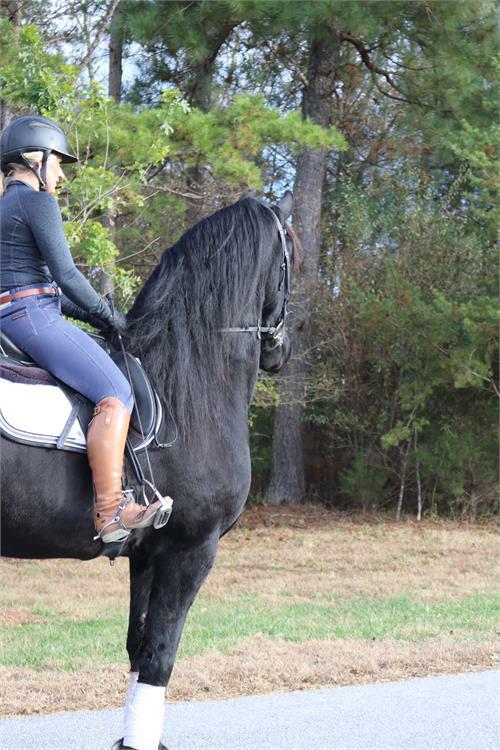 His owners in Holland did so much with this boy, taking him to competitions and on countless trail rides. 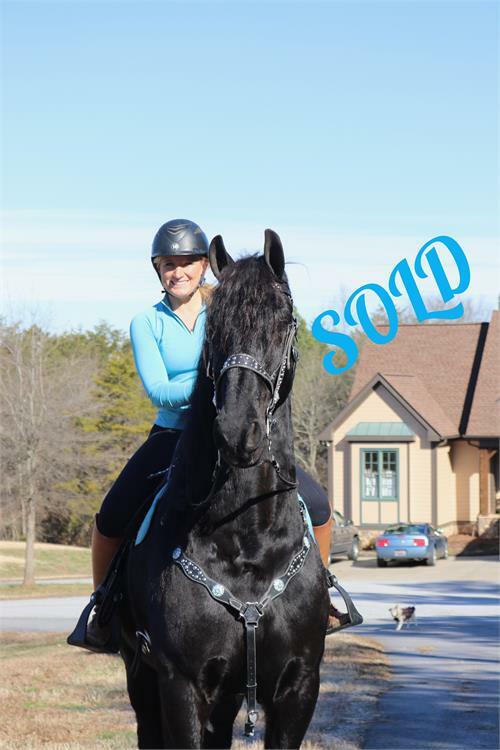 His owners were devastated to sell him, he can only go to the best home. 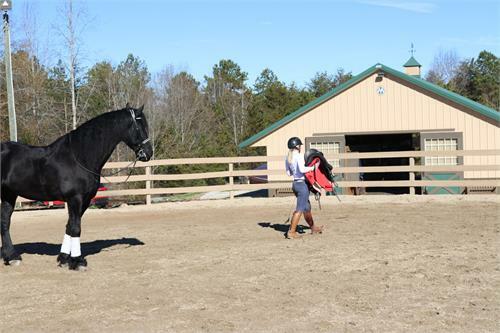 Nanning has a very calm demeanor and is very easy to work around. He is simple to ride and not the spooky type. He has the OUTSTANDING quality that everyone wants when shopping for a Friesian. This beautiful boy will make you feel SAFE and SECURE. 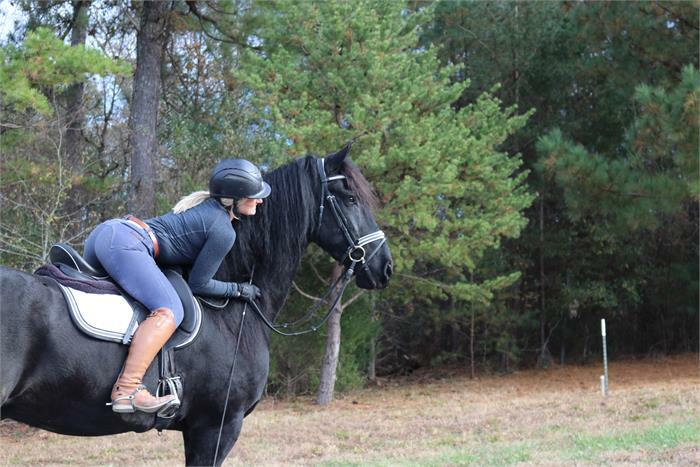 He is very easy to ride. 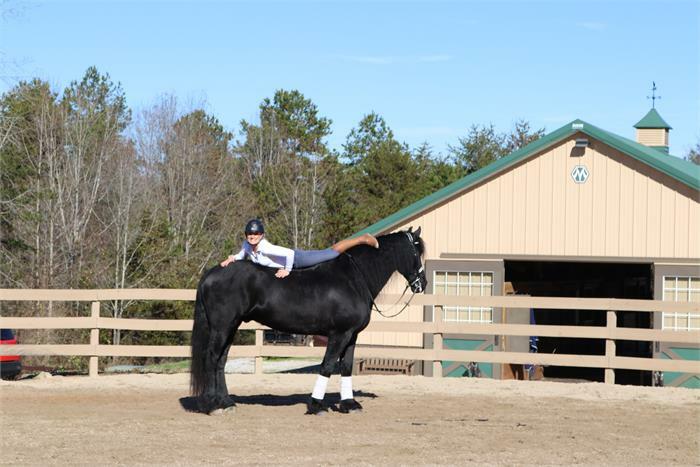 We love Nanning because he is seasoned and experienced at 12 years old. He has been there done that and is great for a less confident rider. 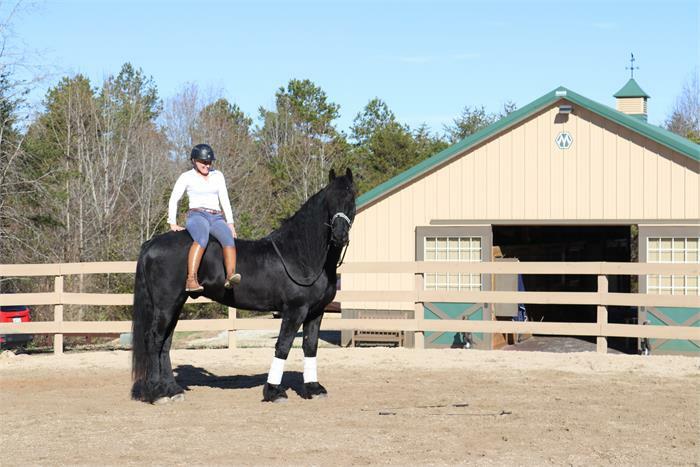 It is so hard to find horses like this that are well rounded and able to do any job you need them to do and be a safe choice for all riders. 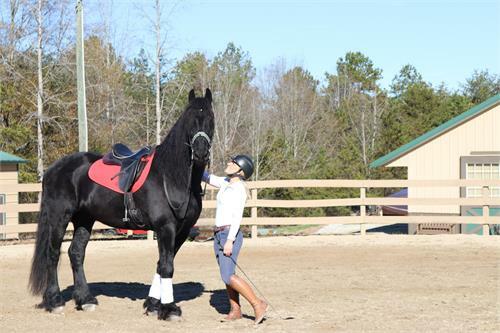 If you are looking for a family horse, kids horse or a husband horse, or a horse that will cater to anyone in the family and just a joy to have around Nanning is YOUR horse! 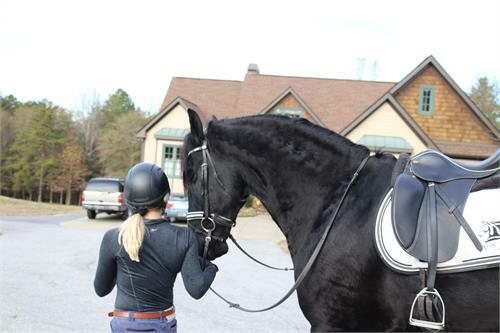 Nanning is handsome and such a love. He is the type of horse to bond with his caretaker. 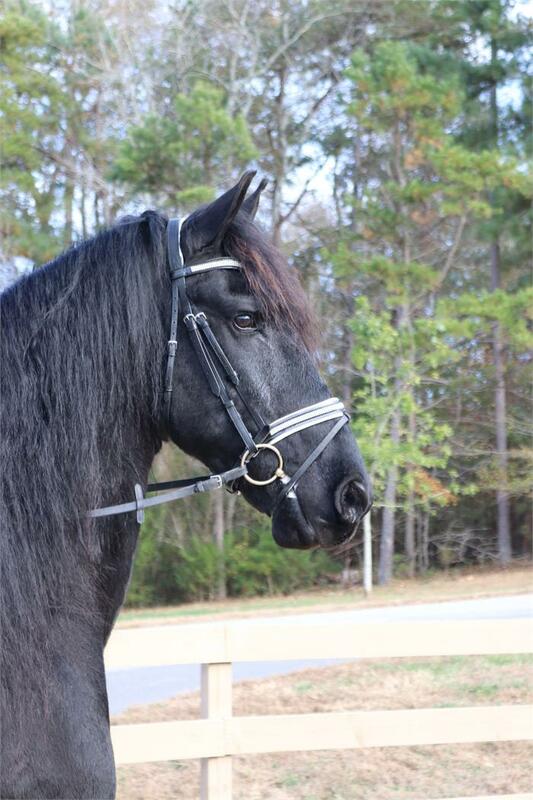 He is the new handsome man waiting to be in your life. 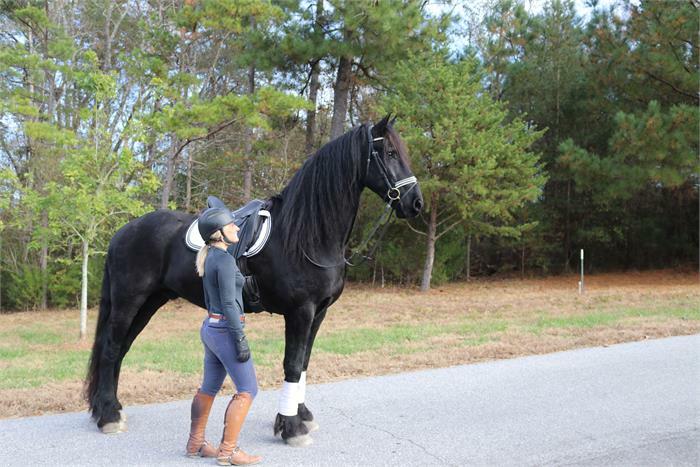 This guy is a gentle giant! 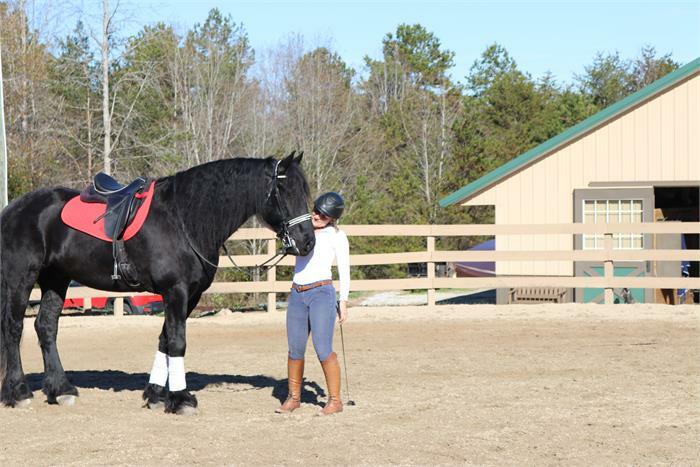 Standing at a whopping 17 hands he is so impressive to see! 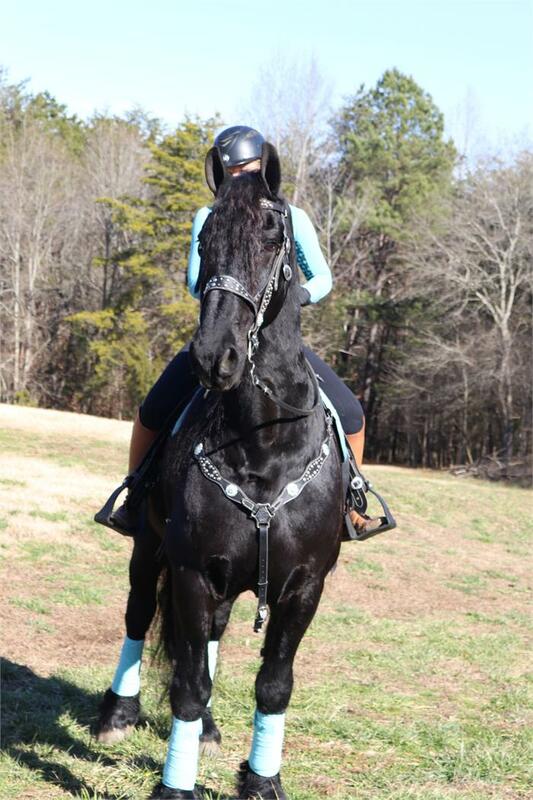 His deameanor is like a little puppy! You would fall in love with this guy the minute you meet him! 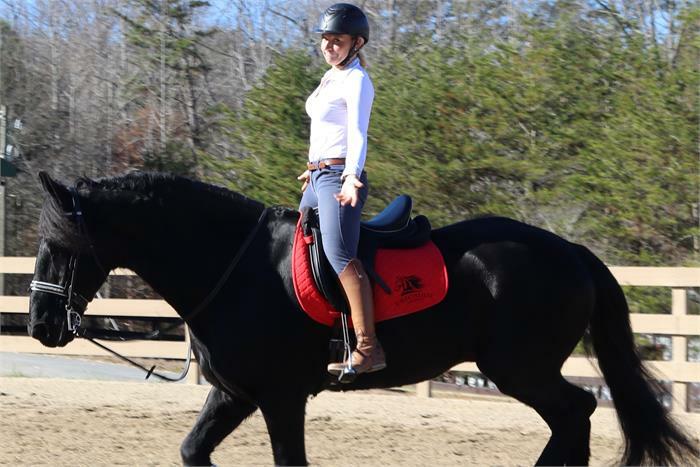 This is a great opportunity to get a VERY reasonably priced Friesian gelding in the US. If you are interested in him, be sure to contact us ASAP!